I have played the bass guitar for years now, and I had felt a need to try out a new instrument. I really love string instruments and playing bass is right up my alley, so I decided to give it a try playing the double bass. After a few sessions with my good friend, Stephanie, who has played the double bass for decades, I was hooked. Stephanie spent hours giving me lessons each week. She took me to local music stores that specialize in string instruments. Of course, the price I was able to purchase the double bass at helped sway my decision, but in the end only one instrument stood above the rest. After I considered all of my research into the two instruments that were at the top of my list, I did decide that the one I ended up purchasing was also my top pick. Within a few months, I was looking for my own double bass to jam out on when a great deal on an Engelhardt ES9 Swingmaster Double Bass fell into my lap. We checked online to see the options that were available and, lucky me, I was in the right place at the right time to get double bass that looks like it is brand new. Before I finalized my decision, I did spend weeks considering which double bass was the best for me. There are a lot of features that you should consider any time that you are thinking of purchasing a new instrument. Let’s explore some considerations before making your decision. Classic 50s aesthetic, construction beyond compare–one of the most durable options for plywood available. Level resonating sound does not create a lot of buzzing. When you play double bass, the sound that you hear is created by the vibrations of the body of the instrument, so obviously the construction of the body is a big part of what your music sounds like. This means that the top, back, and sides of the instrument are all made from plywood or laminated wood. Plywood is a very inexpensive type of wood, so if you get a double bass made from it, you can expect to save a bit of money. The wood is also great for when you need to travel in inclement weather because it does not absorb moisture, which can damage the instrument. If you decide to get this type of double bass, you know that the wood is carved on all sides of the instrument. Since these instruments are made from real wood, they can crack more easily, but they also create a rich, focused tone that you will adore. The sound is so specialized that an individual who specializes in classical music may even feel that they cannot do without the tones that the fully carved double bass can create. These are rather expensive; however, so it may not be in the cards for your budget. This is a construction that uses a carved top and back, while the sides of the instrument are crafted from a type of plywood that will lower the cost of the double bass without dampening the beautiful sound that carved wood creates. Unless you play intermediate level classic music, the type of wood that your double bass is crafted from is purely a matter of preference. Decide what your budget allows, and then choose the construction that fits your needs. When you look for a full-sized double bass, it will be a bit of a different experience from many of the other instruments that you may be accustomed to. The standard size of a double bass is actually ¾ size, and any adult who plays the instrument can verify that they do indeed play this size. Larger and smaller variations are still available, but the average size is ¾. This is because the size of a full-sized upright bass can be very difficult for someone to play and carry. It can be nearly impossible to reach around a full-sized instrument when your arms are a bit on the shorter side. There are ½ and ¼ sized double basses as well that are designed to be played by children who are learning the instrument at a young age. When you play double bass, you need to make sure that the length of the strings on your instrument matches the size of the instrument that you are playing. With a ¾ size double bass, you should have a string length that is between 40.5 inches and 42 inches. If the lengths of the strings are longer than this, you will need to stretch your hands more, which can make playing difficult. In fact, if you stretch too far, it can be easy to injure yourself. As you most likely know, the double bass can be played in both a standing and a sitting position. I have always liked seeing a bassist standing in the back of an orchestra, but as I learned to play the double bass myself, I began to realize why some musicians prefer to sit down and play this instrument. The play style that you choose is one hundred percent a personal preference, but let’s take a look at the benefits of each style to help you decide which works best for you. When you stand and play your double bass, you can dance or move to the music whenever the mood strikes you. There is nothing that can prevent you from grooving to the music. You also will not need to find a stool. Sitting means that you will need to locate a stool when you travel to play, and if there is not a properly sized stool, then you are out of a place to sit, which is an issue that you would avoid if you stand to play. When you stand to play, the instrument does not touch your body quite as much, which means that the wood can resonate more as it vibrates. As a result, the sound of your double bass will be elevated a level, and the volume will be louder as well. When you sit and play, you are not required to balance the instrument at all, which means that you will experience less fatigue as you play. This is why sitting is a great idea for a beginner, and as you begin perfecting your skills at playing the double bass, balancing it will start to come more naturally. And when you play with a bow, you will notice that being behind the instrument is far more natural feeling than being alongside it. Unless you are always going to pluck the strings on your double bass and play pizzicato style music, then you are going to need a bow to play. 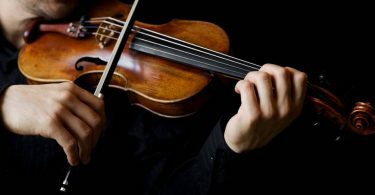 No matter what type of music you like to groove to, playing with a bow can help you to improve your intonation and playing style. A good bow should cost you about $200 to $300, which is not a painful amount. In addition, don’t forget to stock up on resin because if you do not treat the horsehair in the bow and properly keep it greased, you will need to replace your bow before you are ready. You will also need a bag that you can use to transport the double bass in. The bag needs to have at least 3/4th of an inch of padding. 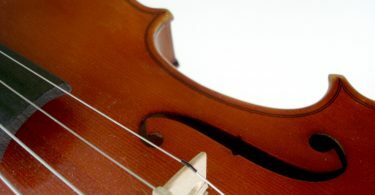 Pickups, strings, mutes, and tuners are all important accessories to consider, but if you can only start out with one, the bow should be your priority because it will help improve your ability to play the double bass. Dry air can be very detrimental to any wooden instrument. If you live in an area of the country that has very cold, harsh winter air, then the heating that you use to keep your family warm during the winter can also be a problem for your instrument. A double bass needs to be kept in an environment that is at least 35 to 40 percent humid at all times, but especially during the driest part of the year. If you know that the humidity level in your home is low, start using a humidifier to add moisture to the air so that your instrument does not become damaged. The heat can cause the top of the double base to shrink, so it is important to make sure that you check it throughout the year to make sure it is the proper size. 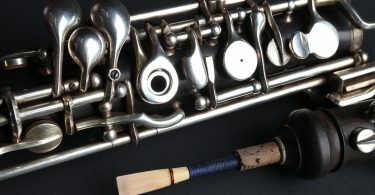 Any shrinkage in the build of the instrument can cause it to crack, which can lead to expensive repairs. As we discussed, it is important to have a case to transport your new double bass in. A hard case may seem like a great idea to keep the instrument protected, but it is not the logical choice because it will only make the bass much too heavy to carry. If you own a ¾ size bass, you will easily be able to take it on any mode of public transportation as well as in your personal vehicle. The only issue is that a double bass may not easily fit into a smaller vehicle, so make sure you consider how you are going to get the instrument home when you buy it. A double bass can cost you anywhere from $1,000 to more than $3,000. 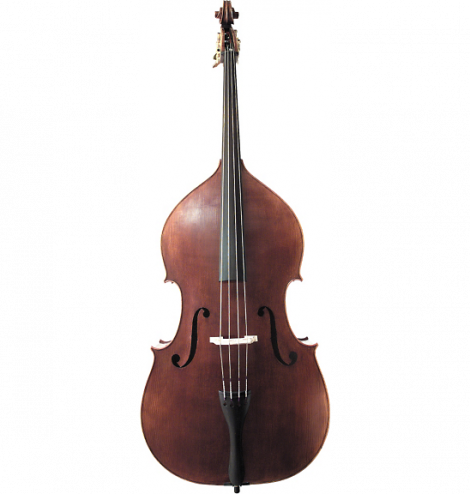 If you are on a tight budget, you may even wish to consider purchasing a used upright bass. 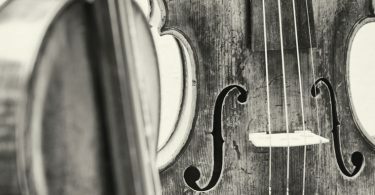 Just be aware that used and cheaper double bass options may save you money now, but in the end, the repair costs that you have to spend may end up costing you more money. Make sure to consider all of your options before making a final decision about which double bass you want to purchase. 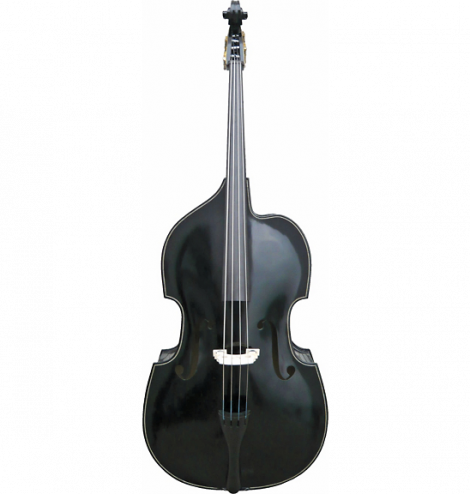 The Engelhardt ES9 Swingmaster Double Bass is the best double bass because is it a professional style bass that features a durable construction and a gorgeous look. It is an upright bass that is designed with laminated wood, which means that it is a plywood-style bass. This style is perfect for my skill level and since classic music is not my forte, it will continue to be the perfect instrument for me as my skills at playing the double bass improve. In fact, since I enjoy playing jazz baselines the most, this is the ideal double bass for my play style. When it comes to looks, this bass is simply stunning. I like light wood on my instruments, and this double bass has a natural blonde finish that is breathtaking. The body and the neck are made from a maple material, and the fingerboard is an ebony design that adds a nice amount of contrast to the design of the instrument. The instrument has a classic 50s aesthetic that looks great on stage. The construction of this instrument is beyond compare; in fact, it is one of the most durable options for plywood that is available, so it will last for a long time if you treat it right. The sound quality of this instrument is excellent, and it has a great level resonating sound that does not create a lot of excess buzzing. 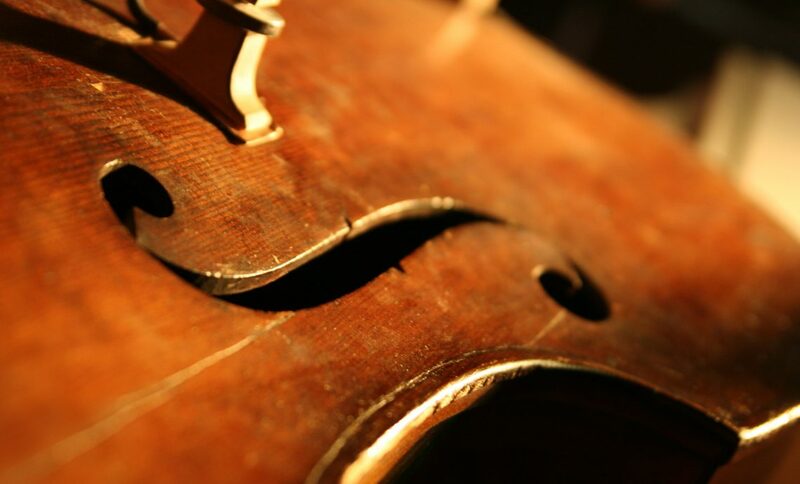 This instrument is sold in a standard ¾ size scale, which means that it is 72 inches in height and the strings will need to be about 42 inches in length. The Engelhardt ES9 Swingmaster Double Bass that I purchased came with a bow as well, but if yours does not, make sure to consider making that purchase because using a bow on these strings will create a great sound. If you are interested in this bass, it is ideal for playing virtually all types of music, and it only will cost about $2,000, which is a very reasonable price point for the quality construction and sound that you will receive. As with any purchase, it is often difficult to settle on a double bass right away. There will be other instruments that catch your eye and fall into your top pick category as well. The LR-102 Black and White is a lovely ¾ size bass that is styled with a black and white aesthetic look. It is another laminated upright bass, so it fits my jazz needs perfectly. The top of the instrument is made from a spruce laminated wood material, and the back and the sides are made from maple. In addition, the neck is made from maple because it adds more durability to the instrument, which means that it will last for years of musical enjoyment. The fingerboard and the tailpiece are made from ebony, which adds a gorgeous touch to the instrument. This instrument provides a warm sound that is equally resonant in both pizzicato and arco playing styles, so if you have the option to purchase a bow as well with this instrument, don’t pass it up. It is designed to deliver a well-balanced sound; in fact, playing the instrument, I did not notice a lot of hum, which is what placed it at the top of my list. Even when I turned the volume up quite a bit, it did not produce much feedback. The main reason that I decided against this model is not the quality of the instrument, it is the quality of the paint job; I prefer more of a natural look for my instruments. As you know, I chose am Engelhardt as my double bass, so I decided to include The Engelhardt M3 1/4 Size Junior Double Bass in my list of other products to consider. It is a great instrument to select if you are looking for an upright bass for your child to learn to play. 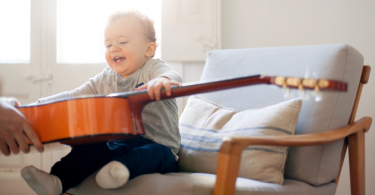 It is only a ¼ size model, so it will be easier for a child to reach around, and it creates a beautiful resonating sound that will help your child learn how a bass should sound. I love the smooth violin corners on this design, and the maple fingerboard is perfect against the spruce laminate top. This instrument has a durable laminate construction that makes it perfect for smaller students because it will be lightweight and easier to carry around. 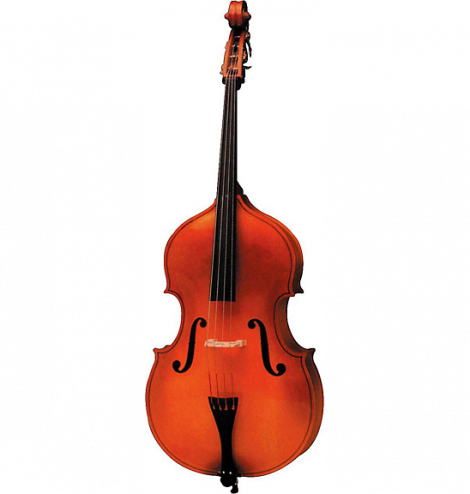 The model can be found ranging in price from about $1,000 to $1,200, so if you are looking for a smaller sized instrument for a younger individual to get the hang of, I’d suggest trying the Engelhardt M3 1/4 Size Junior Double Bass. This is the instrument that I just purchased for my daughter for Christmas. 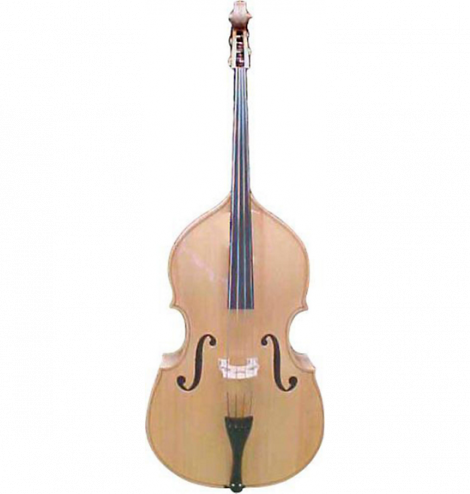 The next double bass that I considered during my search was the Ren Wei Shi Model 705 Double Bass, which is a fully carved bass. It is made with a spruce top; the sides and back are crafted from maple, and the sound that it produces is well-balanced and beautifully resonates through the wood. No matter how loudly you play this instrument, the beautiful sound that it creates is rich, consistent, and as I was testing the instrument, I never once noticed a hum in the sound. One of the reasons that I decided against this model is the fully carved aspect of it. 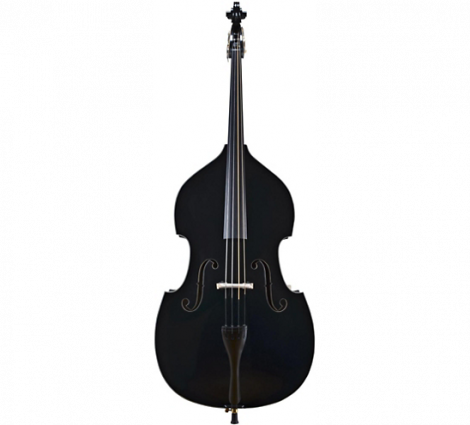 It is an extremely durable bass that will last for years, and it is ¾ standard size upright bass, so it is perfect for most of us. It is a great option for classical or concert performers, but I prefer the laminate style of double bass for my jazz music. It also has a much higher price point than the bass that I did decide on purchasing, but if you want the amazing sound that this instrument can produce in your classic creations, then the $3,500 is well worth it. The next double bass that I think should be considered is a laminated bass that features a black finish that is perfect for a rock style of music. It is a laminate style bass that has delicate moonlight features to create a wonderful contrast to the midnight black style. The top of the instrument is made from spruce plywood that is complete with a spruce back ad sides. I love the ebony fingerboard as well as the ebony neck. This instrument is a ¾ size double bass that is perfect for most musicians. It does not come with a bow, which makes it perfect for plucking a rockabilly beat on the stage, but if you are looking for a more refined sound, you will need to find a bow. It is not the lightest bass that I looked into, which means that it can be a pain in the back to tote to gigs. I also did not like the black paint on the instrument; it is just not my style, but the white moonlighting effect around the sound holes does give it an amazing effect. This bass is available for around $1,300, so if you don’t mind covering the natural wood finish with paint, the sound is great and the price is reasonable as well. The Engelhardt ES1 Supreme Double Bass is another one of the plywood instruments that I enjoyed playing for hours at a time. The acoustic sounds that the laminate wood creates are amazing to the ear, and they do not produce any buzz or unwanted resonance when you play. I have come to adore Engelhardt double bass instruments, but this one was not quite on the top of my list. I like light colored wood, and even though this instrument is not my style, it has a lovely rich brown finish that has golden brown highlights and a shiny finish coat, that many would love. It is a gorgeous choice; it simply did not catch my eye when I walked into the store. If you like darker instruments, then this may be an excellent choice for you. It has a spruce top and a curly maple back and sides that come together to create remarkable tones that are well-balanced and vibrant no matter which notes you play. 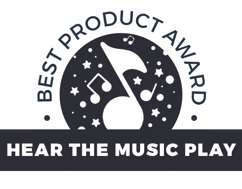 It creates a smooth sound that is perfect for jazz, the blues, and classical tunes. One thing that I did notice about this bass is that the construction is exceptional. If you decide to purchase this double bass, you will be playing on it for decades. 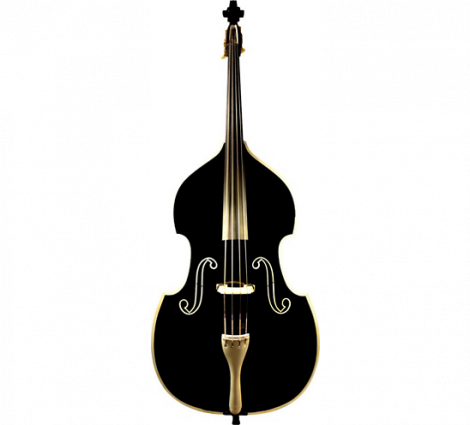 The Palatino Billy Bass is a standard upright bass that has been painted with a black finish. The color did not impress me much, but the aspect of this bass that made me consider it as one of the top options for me to purchase is the cutaway style that it features. This instrument features a laminate style wood, which makes it a lightweight option that you can easily carry around. The top is made from spruce, while the sides and the back are crafted from maple. The fingerboard is lovely ebony, which means that it is resistant to wear from the oils in your fingers. Some songs require access to the middle section of the fingerboard, but with a standard double bass, it can be difficult to reach those notes. This bass gives you unencumbered access to those notes, which makes it a more versatile instrument that can create the soft, warm jazz that I love, but it can also create rockabilly pop and slap bass. The sound is crisp and clear, without much fuzz. It is a great option for a beginner, especially since the price tag is only slightly over $1,000. The double bass is a rich sounding instrument that can create a powerful bass voice, and now that you have decided to pick up the instrument, you need a top of the line double bass to create beautiful music. All of the instruments that I have reviewed in this guide are excellent options. I choose the Engelhardt ES9 Swingmaster Double Bass for myself, but you need to make your selection based on your preferences and needs. Once you find your gem, the music that you create will be breathtakingly beautiful.